If you can handle our MegaTank® at full throttle we are very impressed. When we took our unit to one of the biggest vape shops in the area we left with a smile. Up against a foot long mechanical MOD, no one could "handle" our 50W lung hit. To say the least, they were impressed. They put their over sized MOD in the case and we walked out with our MegaTank in our pocket. Even with all this power, it can still be ran as a low 7 watts! Simple. As with all SmokeTip® products, right our of the box. It is compatable with most batteries including our 40w Wood and White Battery as all SmokeTip vaporizers are cross compatible! 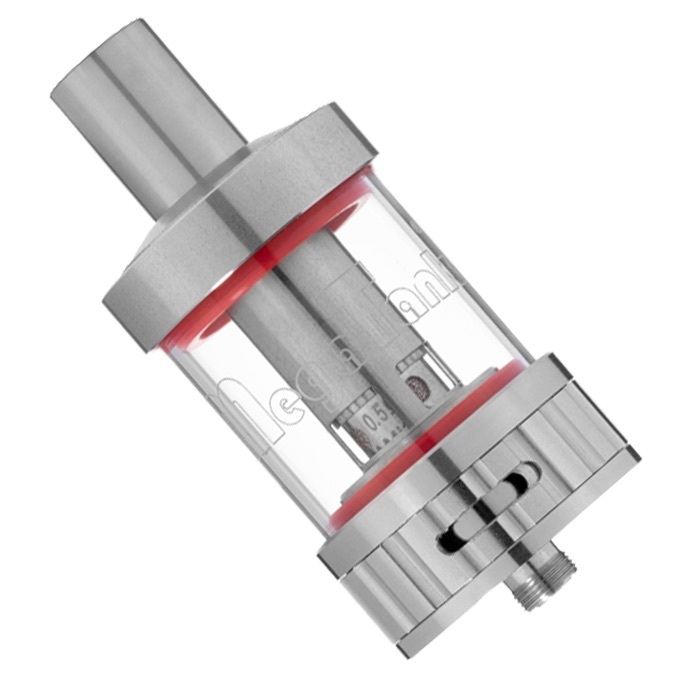 It's made of top quality solid stainless steel and a heat resistant tank. Over 25 settings with our airflow control that allows you to adjust your draw and the amount of vapor you produce. All topped off with our .5 ohms sub atomizer to make sure you are vaping strong - up to 100 watts.